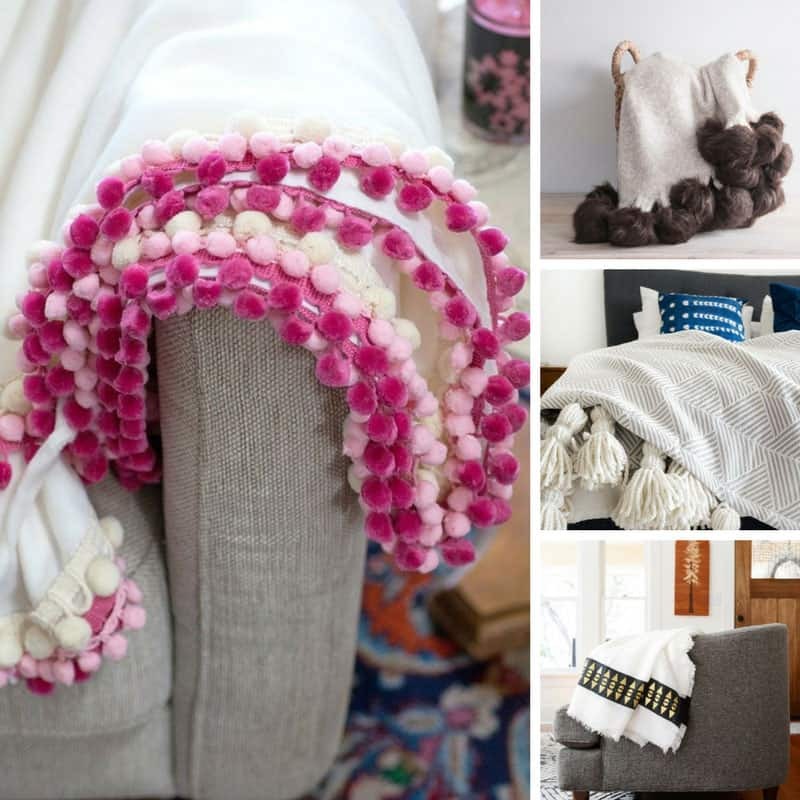 Add Some Flair to Your Sofa With These 30 Easy Homemade Blanket Ideas to Snuggle Up In! Home > DIY Projects > Add Some Flair to Your Sofa With These 30 Easy Homemade Blanket Ideas to Snuggle Up In! On a chilly evening there’s nothing like a cozy throw to keep us warm – so check out these easy homemade blanket ideas to snuggle up in! The night’s are drawing in so it’s time to cozy up our homes with blankets and throws, but if yours are looking old and tired you’re going to love these easy homemade blanket ideas I found, because it’s much cheaper to make your own than buy one from the store! I found everything from luxe fur pom pom trimmed throws and giant tassel trim blankets to no-sew flannel blankets and even a throw made from thrifted sweaters! Previous PostPrevious 10 Super Fun Homemade Wrapping Paper Crafts that Will Make Your Gifts Look FABULOUS! Next PostNext 13 DIY Hostess Gift Ideas – Homemade Gifts that Will Get You Invited Back!